Controlling the student-faculty ratio remains a challenge for the administration, especially with the current economic climate. Increasing the number of tenure-track faculty or decreasing the number of students can accomplish this. 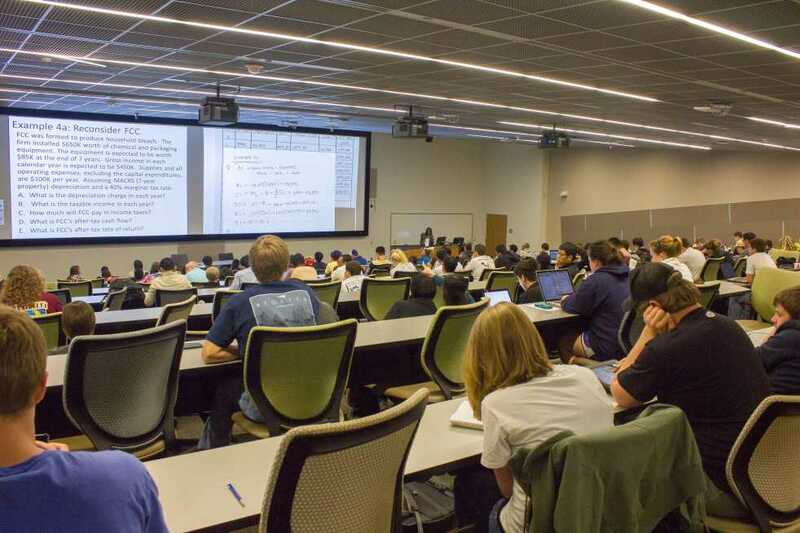 Despite these faculty increases, the student-faculty ratio has still been on the rise, with the full-time faculty enrollment increasing only by 6.8 percent since fall 2007 in contrast with a 15 percent increase in total enrollment. The process to hire new faculty starts with the deans of each college identifying problem areas, such as having a higher load of students or dealing with the departure of current faculty. The recommendations are then discussed with the Provost, and decisions are made by the Provost to allocate the faculty lines to colleges. “Typically, we replace 12 or 13 retirements each year, so the net [hiring additions] there is about 16,” said Dean of the College of Engineering Gary May. However, hiring faculty may not be the clear solution to resolving the student faculty ratio – at least in the problem area of the college of engineering, where departments like BMED, ISyE and AE have the highest student-faculty ratios on campus, which are 62, 30 and 28, respectively. “We can’t hire our way out of this because we can’t do that fast enough – the time scales are not compatible,” May said. According to May, the rapid change in the trending majors is a major cause of greater care – which ultimately result in more scrutinous and fewer faculty hirings – taken towards hiring new faculty. Bras and May both acknowledged the additional need for space that new tenure-track faculty hires would require, which poses as an additional roadblock in easily hiring new faculty. On the other hand, a smaller numerator can also decrease the student-faculty ratio. This means decreasing current enrollment, which can be controlled in front-end and transfer enrollment. Enrollment, however, has continued to increase every year since fall 2007. Cutting down on enrollment may not be so easy. According to Kohn, this decrease in enrollment has the potential to exacerbate the student-faculty ratio. Kohn instead offered other initiatives that Enrollment Services is undertaking to mitigate the student-faculty ratios in more problematic areas by shifting the student load to other areas. Kohn also suggested that the 344 extra students admitted this freshman class was an anomaly that will not happen again. Transfer enrollment is able to be much more tightly regulated to offset larger front-end enrollment. “We have made transfer admission more competitive so that when the freshman class of last semester reaches its junior year, my intentions are to offset most of that surge through the contraction in the number of students we accept,” Kohn said.